So just what does it mean to me as an employer if my state doesn’t opt to expand Medicaid? 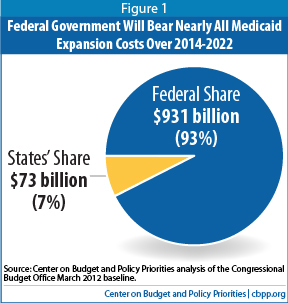 Medicaid is a partnership between the federal government and the states. States are able to design their own programs within the boundaries set by federal regulations and the federal government ponies up a large share of the money. The current Medicaid program requires states to cover only certain categories of needy individuals: pregnant women, children, needy families, the blind, the elderly and the disabled. Today, approximately 60 million people are enrolled in the program; expansion would add another 17 million. The ACA’s Medicaid expansion provisions require states to expand their Medicaid programs by 2014 to cover all individuals under the age of 65 with incomes below 133% of the federal poverty level (roughly $31,000 for a family of four). The ACA offered expansion of Medicaid on very generous terms – the law calls for the federal government to pick up all costs of the Medicaid expansion from 2014 through 2016. Subsequently, the federal payment level gradually decreases, to a minimum of 90%. The challenge to the ACA was that it unconstitutionally coerced states to expand Medicaid by threatening to withhold all federal Medicaid grants for non-compliance. Instead of just refusing to grant new funds to states that did not comply with the new conditions, it would withhold those states’ existing Medicaid funds. The counter argument was that the Medicaid expansion provisions were simply modifications of the existing program that offered financial inducements to comply with the new law. The Supreme Court held that, while states could be required to comply with certain conditions in order to receive funds, they could not be penalized if they chose not.to participate in the new program by taking away their existing Medicaid funding. Simply put, the Court found that the ACA provisions were unconstitutional because the government cannot coerce states to expand Medicaid by threatening to withhold existing federal Medicaid funds. Additionally, the Court further found that the unconstitutional provisions could be severed and remedied, leaving the rest of the statute intact. 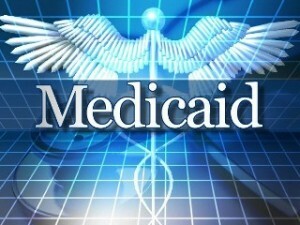 The end result is that states may decide to opt out of the Medicaid expansion. States that choose not to participate in the expansion will be faced with questions about how Medicaid programs will function and how it will affect the population that would have been Medicaid eligible through the expanded coverage. Opting out of the expansion would save the states some money in the long run. Within hours of the Supreme Court’s decision, Republican officials in several states said they were likely to oppose expanding the program. For employers with above 50 lives, this could mean additional penalties under the ACA. If a state doesn’t expand Medicaid coverage, employers with over 50 lives may be subject to more plan affordability penalties than they would be were the state to expand. Under the employer mandate, employers are subject to penalties if they fail to offer group health plan coverage or they offer coverage that fails to meet certain quality and affordability standards (generally if premium for single coverage exceeds 9.5% of employee’s household income or if the plan fails to provide at least a 60% “actuarial value” and the individual enrolls in the Exchange). If Medicaid coverage is not expanded, individuals who would have been eligible for Medicaid under the expanded conditions will now likely find coverage under an Exchange and be eligible for federal subsidies. This could increase an employer’s exposure to shared responsibility under the employer mandate. Employers with less than 50 lives and not subject to the employer mandate will also be affected. States that choose not to expand Medicaid will force more people to be dependent upon their employers or an Exchange for health insurance. Coverage under the Exchange will be challenging to navigate at the onset, will vary state by state, and may or may not be a viable option for many employees, effectively forcing the employer to step in. When employees cannot afford their insurance, it tends to leave employers in a sticky situation. No matter what the size of an employer, allowing states to opt out of the Medicaid expansion provisions will likely result in more people (who typically were not insured in the past) seeking coverage on an Exchange. This certainly does not bode well for the overall experience of the Exchange-based plans, ultimately affecting rates and affordability for employees. This document is designed to highlight various employee benefit matters of general interest to our readers. It is not intended to interpret laws or regulations, or to address specific client situations. You should not act or rely on any information contained herein without seeking the advice of an attorney or tax professional. ©2012 Emerson Reid, LLC. All Rights Reserved.